You're Just My Type: Hikers Compose Love Notes To The Grand Canyon The Grand Canyon National Park celebrates its centennial this year. In late 2017 and early 2018, visitors encountered something unusual after a 6-mile hike down to a scenic overlook: a typewriter. 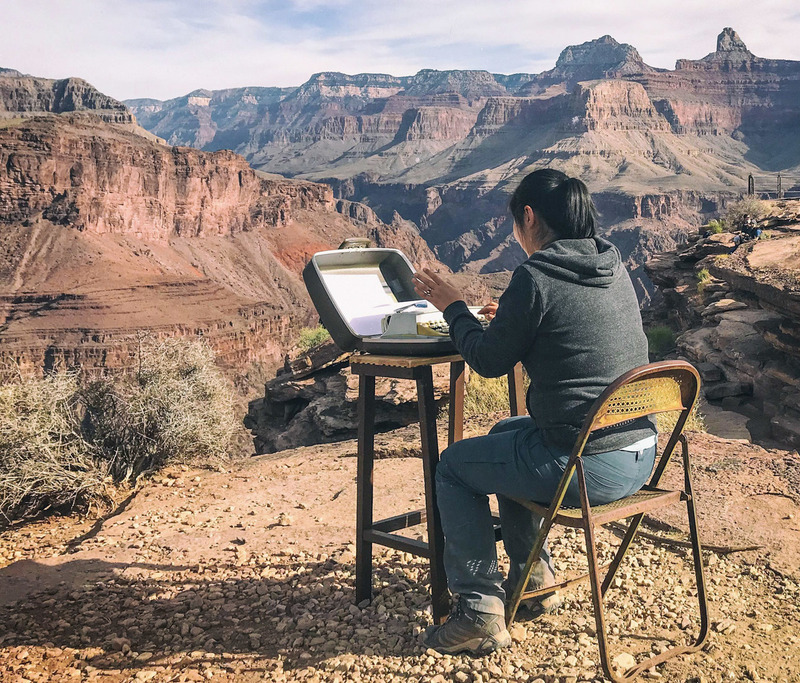 National park ranger Elyssa Shalla placed a $5 typewriter from Goodwill at Plateau Point in the Grand Canyon and invited hikers to share their thoughts. The pop-up project was the brainchild of Elyssa Shalla, a national park ranger. "I wanted to put out a typewriter and see what would happen as visitors came upon it," she says. 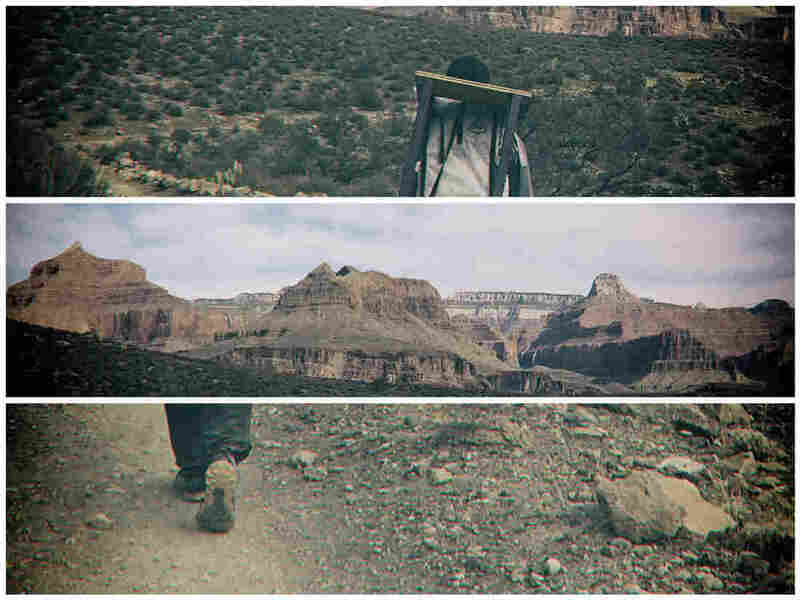 The typewriter was carried in a backpack on a hike that descended 3,000 vertical feet into the heart of the Grand Canyon. "oh so many miles / blisters never make [me smile] / really cramps my style." "to me, this is a geologic pilgrimage and a reminder of what my body can do. for all of this, i am grateful, especially because i get to share it with my dad." "Hearing the words 'Grand Canyon' and now experiencing it for the first time, I realize that the term 'Grand' falls far [short] of what this place [truly] represents: Perfection." For Shalla, the notes prove that "parks are really powerful places." "We need to provide more opportunities to give people the chance to stop and think and feel at the same time and then give them a platform to share their experiences," she says. "That's one of the greatest things we could do in our national parks." You can see more of the little love letters to the Grand Canyon at Towers & Type Project. The broadcast version of this story was produced by Natalie Brennan and edited by Selena Simmons-Duffin.